The MASPED PORT II. 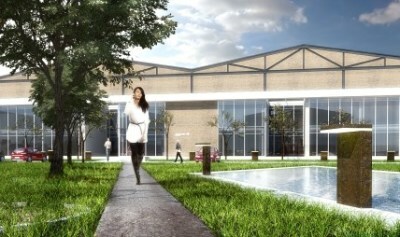 Logistic Centre warehouse and office development project is situated in the Budapest Freeport area. The site lies in the heart of the traditional industrial and logistics centre of the capital benefitting from unrivalled infrastructure. perfect for the establishment of prestigious company HQ. The 3.5 hectare site will facilitate the construction of two stand-alone buildings. Both of the buildings meet today’s standards according to the prospective tenant's individual requirements and budget. The size of the buildings is 6500 sq and 8500 sq m.
With the MASPED PORT I. Logistics Centre operating on the adjacent site, occupants can also benefit in case of such requirement from the full scale of a modern contract logistics, consultancy, domestic distribution and international freight forwarding service.